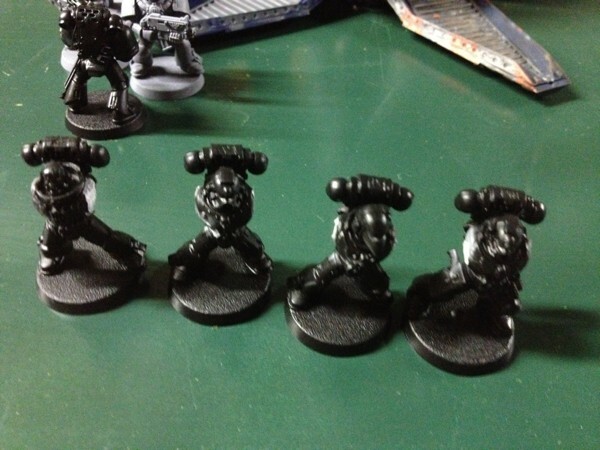 I am looking for a couple flamers with arms and shoulder pads for 2 assault marines. I am also looking for 2 bolters with arms and shoulder pads for tactical marines and a power fist for a space marine sergeant. anything would be helpful. P.S. I hope this is in the right category for posting. If you don't receive the bits you need by this Sunday, I should have them for you. The arms, bolters, and shoulder pads I am sure I have extra, the power fist I may have to search for, but I think I have one. Oh awesome. I just realized I also need a melta gun just so everyone knows. And who's is this btw? This is Trever. Don't think that I have met you in person. I'll be the big, goofy looking mf'er at the paint table on Sunday... I'll introduce myself when I see you. Meltas and powerfists are hard to come by, but I should have some floating around. Sounds good. I will see you Sunday then.